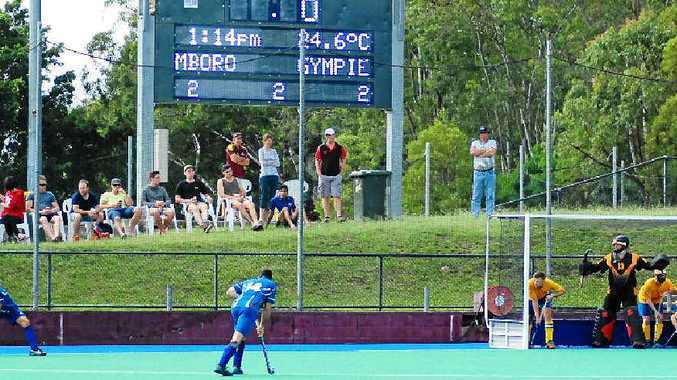 HOCKEY: Gympie has fallen just short of winning its division at the Queensland open men's hockey titles in Brisbane at the weekend. Playing in division two, Gympie was up against four other teams in the round robin stages, aiming to qualify for the grand final. After losing the first match 3-1 to Maryborough, Gympie hit back just a few hours later with an emphatic 8-1 smashing of Toowoomba. Their 3-0 win over Ipswich2 on Sunday meant Gympie needed to beat Gladstone to advance to the grand final, which they did, disposing of their opponents 4-1 to book a spot in Monday's final with Maryborough. 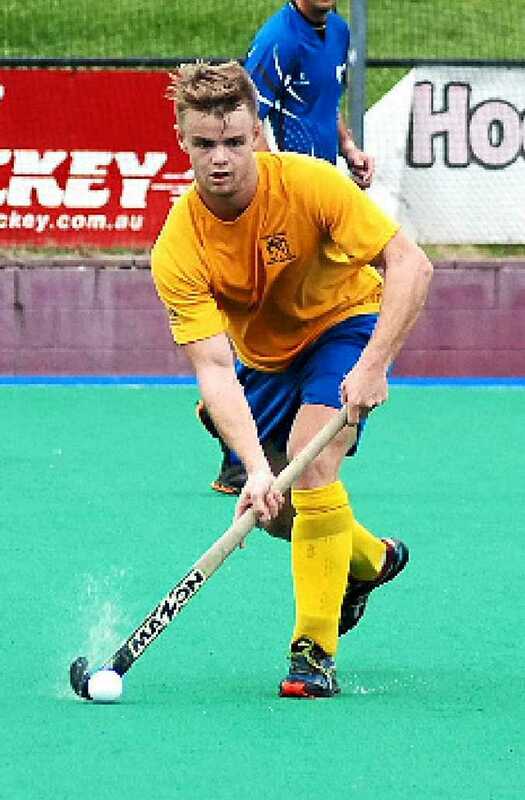 After being down 2-0 at half time, the blue and gold hit back to level the scores, before surviving a late penalty corner to force the match into a shootout, but it was Maryborough who triumphed. "We were very disappointed, because we've made the grand final the last three years but lost every one," coach Ben Fitzpatrick said. "That being said, it was a great performance from the boys to make it that far, and they showed some real guts to get back into that final." FOCUS: Gympie’s Nathan Stephens looks for a pass.